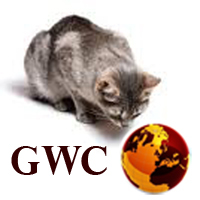 Global Watch Cat is a web-based magazine offering concise analysis of the domestic and international practices which impact our world. The magazine relies upon the premise that although oceans and ideologies may separate nations, we are all closely bound to one another through our shared use of this planet. Whether linked by a common ancestry, tied to one another by currency and trade, or united in the human pursuit of an existence that yields meaning, the world is far smaller than it seems and more fragile than we recognize. As our human intellect has heightened, so too have the stakes in the political, economic and technological arena. There are no longer easy choices as they relate to the raw materials of civilization: nation-building, natural resources, citizenry, energy use and currency. Global Watch Cat seeks to demonstrate that what we do as stewards of the Earth has an impact not only upon those who walk beside us, but also those who will walk in our footsteps. Although nations continue to enact policies and practices which consume limited resources or expose other countries to risk, much goes unnoticed by the general public. To this end, Global Watch Cat will examine destabilizing political action and assess the ripple effects of international practices in an effort to synthesize the impacts that each may spark upon the global stage. Further, as consequential stakeholders in the affairs of all regimes vying for finite resources, the editorial staff will explore global resource allocation and scarcity as well as worldwide energy consumption and the practicability of alternative energy options. Global Watch Cat will also study the sustainability, resource needs and policy demands of a global population in excess of seven billion. When no one was looking, the world suddenly became smaller. Our technological trailblazers have equipped humankind with the gift of instant communication and readily accessible data. We can now see exactly what is happening in our world at any given moment and discuss it with friends or with strangers. What happens on the densely-populated streets of Lagos, in the coal-choked skies above Harbin, and on the resource-rich Siberian continental shelf which extends under the Arctic Circle impacts all of us. It is my hope that by connecting with Global Watch Cat, our readers will think beyond the stories of celebrities, popular baby names and pet costumes that the mainstream media delivers and consider the more crucial global data points that will shape our world so that we all can become better-informed stewards of this shrinking planet.